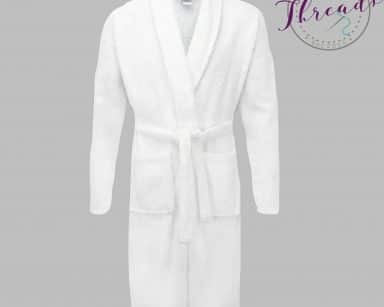 Feel at ease with our extra soft Cotton robes. 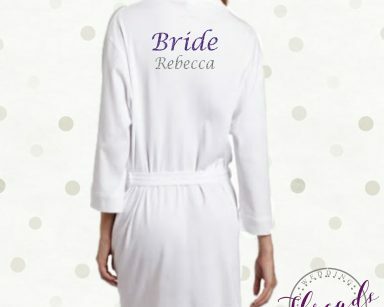 Made with a cross over front and self tie belt. 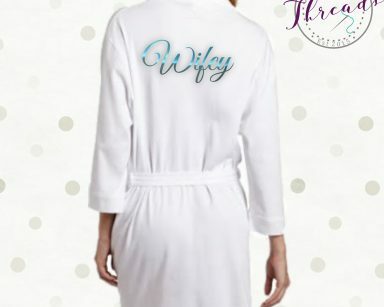 Because the robe is easy to take on and off. 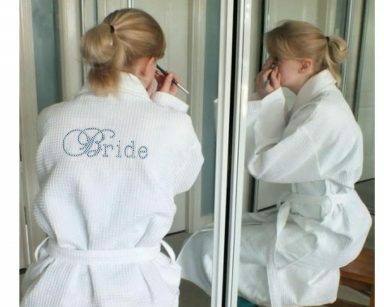 There is no more worries about messing up your hair or make up! 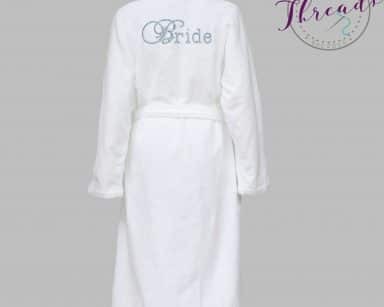 Available in 4 colours White, Grey, Lilac & Pink and with several printing methods available including our brand new Glitter effect print and Diamante crystals. 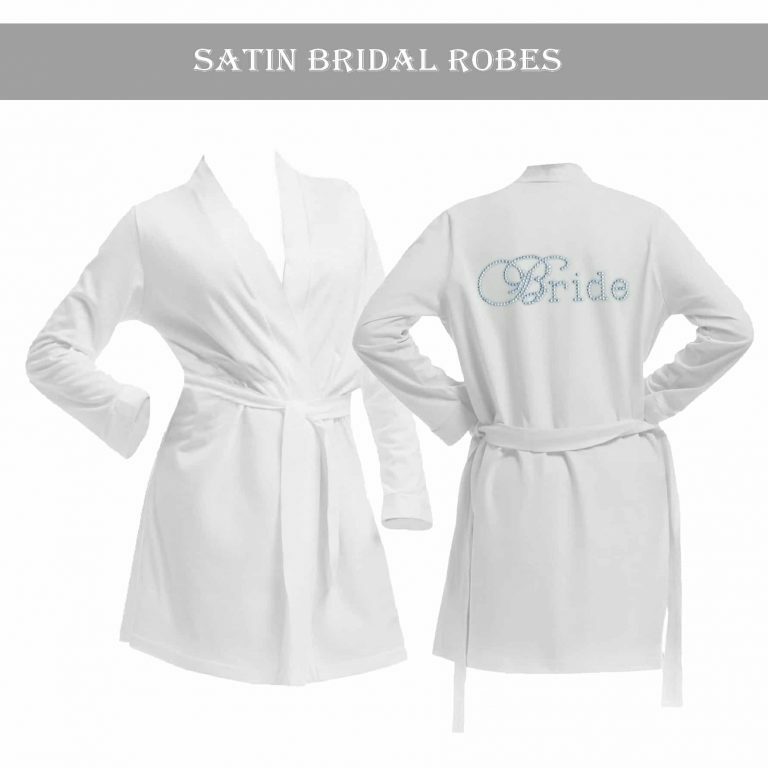 Feel amazing in our lightweight Cotton White Wedding Robes that are perfect for all seasons. 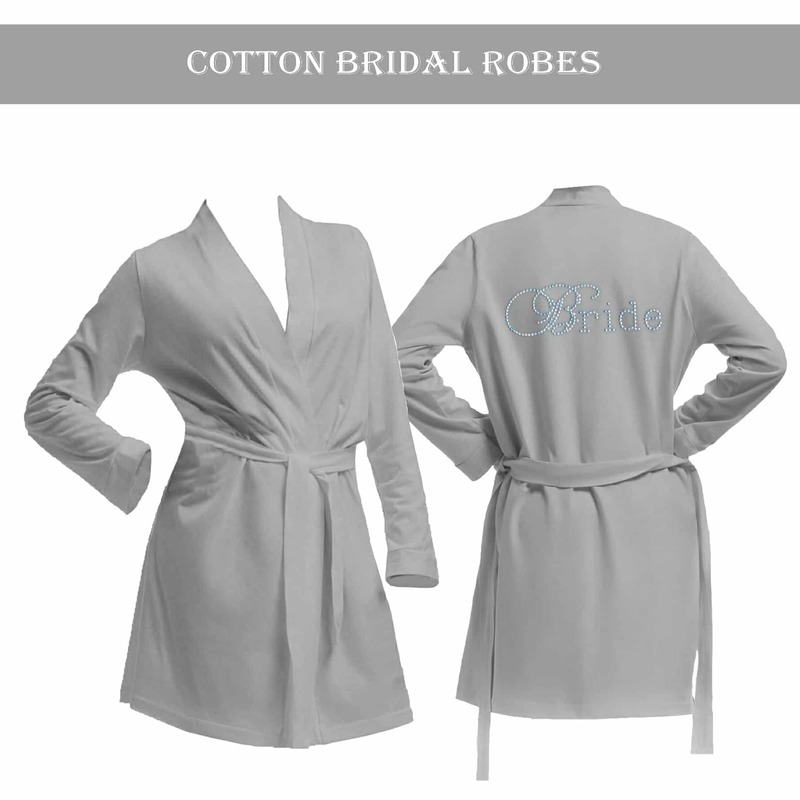 Beautiful luxury cotton robes also make for great photos for the bride and bridal party on the morning of your wedding and are a fantastic keepsake for the girls on your special day. 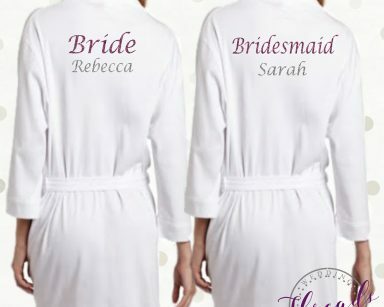 We also have many options and colours for the Bridesmaids, Maid of Honour, Mother of the Bride, and Mother of the Groom and of course not forgetting the Bride. 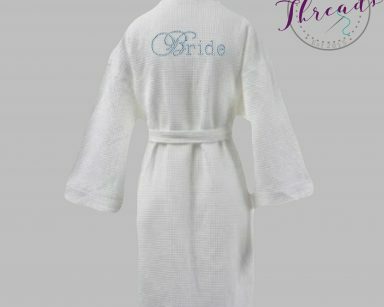 We do have a gallery of images of previous orders that may inspire you, so should you not find something suitable. Alternatively please ask us for a bespoke option if you wish to change the design on the cotton bridal robe completely. 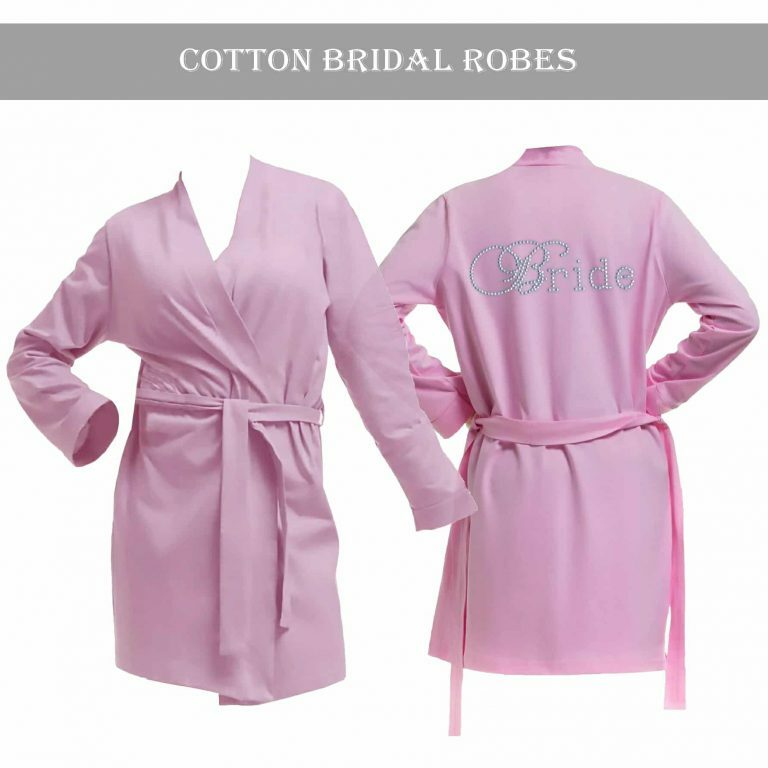 Coordinating children’s robes are available in our children’s section of robes for the Flower Girls and Junior Bridesmaids. 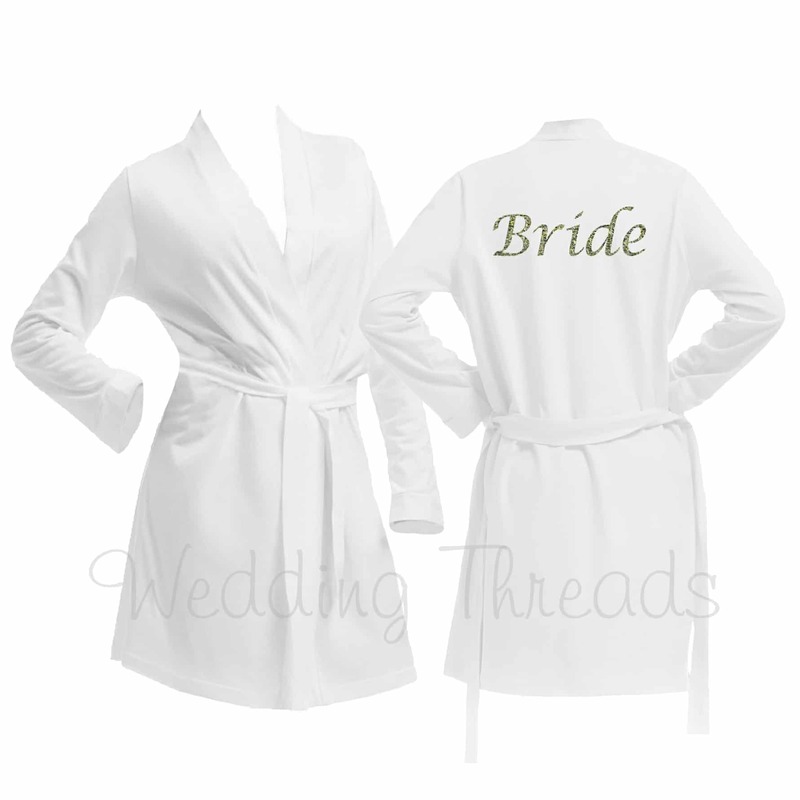 weddingthreads@hotmail.com or call us for free on 0800 772 3732.